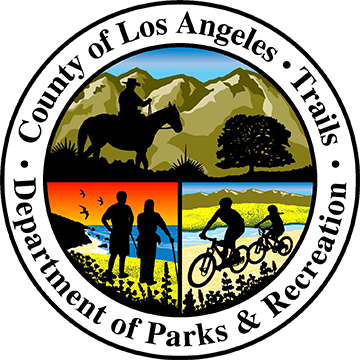 The County of Los Angeles is a chartered county and a subdivision of the State of California whose mission is to provide governmental and other public services to and for the benefit of the residents of the County. In accordance with this mission, the general policy of the Board of Supervisors is to exclude from the County Internet website and the website of each County department all commercial advertising and promotional material, including links which provide exclusive private or financial benefit to commercial, non-public enterprises and which do not promote or enhance a public benefit to the County, its departments or the residents served by the County. As a governmental agency, the County neither endorses nor supports individual private commercial enterprises through display of their advertising on the County's website or through providing links to the sites of such commercial enterprises. Notwithstanding the foregoing, the Board of Supervisors recognizes that, in consideration of the nature and function of the Internet, display of commercial or promotional material or links to commercial sites may, under certain circumstances, be appropriate for inclusion in the County's website or in departmental websites where a public purpose is served. The following guidelines are hereby adopted for the guidance of County department directors in determining when such materials are appropriate for inclusion in County websites. A. Public Benefit Facilities And Venues. The County has established and maintains certain facilities and venues which promote the arts, science, cultural studies and other public purposes. Advertising and promotion of events, programs and exhibits at such facilities and venues may be placed on the County Internet website and on departmental websites. This includes links to commercial enterprises who market tickets or other means of access to these facilities and venues or foster participation in their programs. B. Commercial Enterprises In Which The County Has A Financial Interest. The County possesses leasehold and other financial interests in certain commercial enterprises, and derives a financial benefit from their activities. This financial benefit to the County serves a public purpose. Accordingly, commercial advertising and other promotional materials concerning these enterprises may appear on County websites. Links to the websites of these enterprises may also be included on the County Internet website and on departmental websites at the discretion of department directors. Appropriate notice should be provided of the County's financial interest in these enterprises. (Examples: Gladstone's Restaurant, Marina Del Rey). Where a link is provided in the County's website and the user exits the County website and enters a commercial website, notice and a disclaimer must be displayed in accordance with Section 8 below. Certain commercial and public agencies maintain information about private persons, enterprises and organizations which provide services to the public. A. Public Agency. Where such information is directly maintained by public agencies, such as lists of licensed child care providers or lists of restaurants that are graded by the Department of Health Services, County websites may display such information or provide links to the public agency or directly to that information. ii. It would be duplicative for the department to independently create or maintain such information; and. iii. The commercial agency which maintains the information has represented that it includes all legitimate or licensed service providers within the County or within the geographical area served by the department. No link may be provided directly on a County departmental website to any enterprise or organization included in that information. Where a link is provided in the County website to the agency which maintains the information or to the information, and the user exits the County website and enters a commercial site which may contain advertising or other promotional material, notice and a disclaimer must be displayed in accordance with Section 8 below. (Examples: A list maintained by a California state agency of licensed child care centers located in the County could be displayed on the website of a department that serves the needs of children and families. A link to the state agency or to the list could be included even if the list maintained by the state agency contained centers both in the County and throughout the state. A commercially maintained list of newspapers in a particular category or geographic area could be displayed or linked to the Public Information Office website since its mission is directly related to fostering media relations. If displayed, however, no link to an individual newspaper is permitted. If a link is provided to a commercial agency maintaining the list or to the list, the site linked to may contain advertising, but a disclaimer must be displayed on the County's website as the user exits in accordance with Section 8 below. The Department of Health Services could display a list of public health ratings of all restaurants in the County since public dissemination of such information is directly related to its mission. However, display or linking to a commercial list of popular ratings of restaurants or to an individual restaurant would not be permitted under these guidelines. Public Works could display a list of names and locations of licensed recyclers since its mission includes fostering recycling of waste, but could not link to those businesses). Certain private commercial sites maintain and display information which provides a public or community service or other ancillary static or interactive information to aid the public which is not generally available through a governmental agency due to the cost of compiling, maintaining and/or displaying such information. In order to support the cost of compilation and maintenance of this information, these private commercial sites may include advertising or promotional material in the information display. D. The information targeted for linkage is a vital enhancement to the department's mission. (Examples: The Chief Administrative Office and Board offices could link to a private website that provides information about community activities in unincorporated areas. A disclaimer must be displayed on the County's website as the user exits in accordance with Section 8 below. County program sponsors and cash or services donors may be acknowledged through a display of their names, logos or other information, but no link is permitted to their websites. The listing of such sponsors or donors is limited to secondary pages of websites, but may be accessed from the primary page. Departments are responsible for informing the Board of such donations through the current established process for donations. (Examples: Public Works could list sponsors of environmental programs, but could not link to their sites. Beaches and Harbors and Parks and Recreation could name their official sponsors. Private designers of websites who have donated their services may be acknowledged, but no link is permitted to their websites). Links to such institutions are permitted on department websites when the site contains information that enhances services provided by the department. Links to search engines are permitted where a department's core mission would be advanced by presenting information from a variety of sources external to the department. Links to sites containing inappropriate material are expressly prohibited. When providing links to non-County sites, departments must include a disclaimer on their home page disavowing endorsement or responsibility for the material on sites being linked. Departments must also use a standardized alert or redirect script page that warns users they are leaving the County site and allows them to proceed or cancel. This alert would read: "You are now leaving the County of Los Angeles website and linking to a website that may contain commercial advertising. The County of Los Angeles does not endorse or support any of the advertising that may be contained on this site. For more information on the County's use of websites that may contain commercial advertising, please click on "About this site." Do you wish to continue? Yes or No." Departments shall provide website contractors with a copy of this policy and website design guidelines, which contractors shall observe in creating webpages for departments. The requirement to follow these guidelines shall be set forth in the contract for website design. The Internal Services Department, in creating webpages for departments. shall enforce the adopted guidelines. The CAO is authorized to order removal of material from department websites which is noncompliant with these adopted guidelines. Departments shall routinely check links on their websites to ensure they are functional and contain no material which violates this policy. The lacounty.gov website has made reasonable efforts to provide an accurate translation. However, no automated or computerized translation is perfect and is not intended to replace human or traditional translation methods. The official text is the English version of lacounty.gov website. If any questions arise concerning the accuracy of the information presented by the translated version of the website, please refer to the English edition of the website, which is the official version. A. Park Data: Park Names included in the Search by Park Name search bar are based on information from the County of Los Angeles Department of Parks and Recreation (February 2015) – parks.lacounty.gov and the California Protected Areas Database (CPAD) 2014 (March 2014) - www.calands.org. B. What You Might See Data: The flora and fauna listed for each trail is a sample of species that trail users may see. Species were derived by reviewing the County of Los Angeles’ Significant Ecological Areas (SEAs) and their associated biotic resources. While the SEAs were referenced, species common to a broader geographic area were used to provide trail users with examples of what they might see while on the trail. For more detailed information on SEAs and their specific biotic resources, please visit planning.lacounty.gov/sea.